We are reckoned among the established Manufacturers, Suppliers and Exporters of Methylene Blue Zinc Free Solvent Dyes from Maharashtra. The Methylene Blue Zinc Free Solvent Dyes offered by us are formulated using the finest quality chemical compounds and the latest technology. 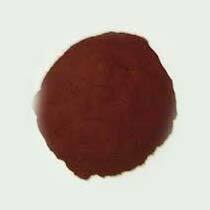 We ensure that the Dye reaches the buyers in excellent quality packaging options. One can obtain the Dye at industry-leading rates from us.